What the plant looked like. 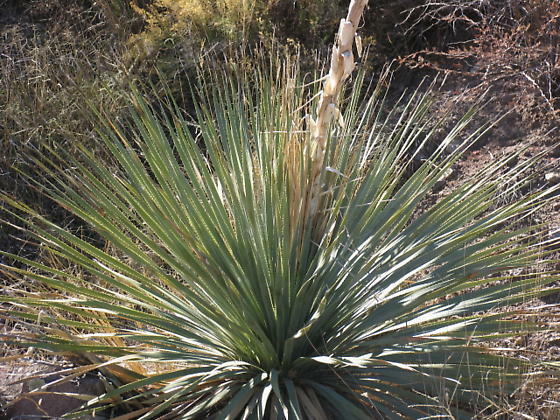 Maybe it's not in the same taxonomic family as the yucca. Probably closer to agave than to yucca. Anyways, do you live in Las Cruces? I'm a grad student at NMSU, don't often come upon other Crucians online. Thank you for providing the scientific names for the plantlife. I suppose I should spend a little time on plant taxonomy in order to increase the scientific value of my observations. Either that or marry a plant taxonomist who wants to spend a lot of time in the field. I spent a week visiting in Las Cruces between Chistmas Eve and New Year's Eve.